What if you could predict how good a leader would be inspiring their people from a simple test that looks at how good they are at reading emotions in groups of people? Well that’s exactly what a new measure devised by Dr. Jeffrey Sanchez Burks promises. Join us November 6th, to learn about the exciting new Emotional Aperture Measure. Register here. Look at the almost telepathic connection that exists between great presenters or entertainers – they seem to sense into the crowd’s emotions and adapt their comments or performance to fit what they want. This is obviously a ‘must have’ skill for any leader wishing to scale the CxO mountain. Dubbed the Emotional Aperture Measure (EAM), Sanchez Burks’ tool rates a person’s ability to pick up the emotional climate of an entire group. Dr. Sanchez-Burks is a Behavioral Scientist and Professor of Management and Organizations at the Stephen M. Ross School of Business at the University of Michigan, where he co-directs the Leadership+Design Studio. 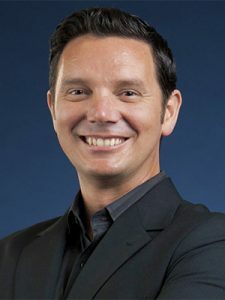 His research has been featured in the TED* series, The Wall Street Journal, New York Times, National Public Radio, Harvard Business Review, and other international media outlets. Professor Sanchez-Burks’ has taught leaders in over 30 countries around the world who work in sectors including technology, financial services, consulting, arts & entertainment, government intelligence, mobility, manufacturing, and healthcare. And on November 6, you’ll have an opportunity to meet him live and pose your questions. This unique event will give you an opportunity to see the next generation of emotional intelligence assessment. Join us by registering here. Seats limited, so don’t miss out.